Summer is the best time to make papad at home and to eat them for rest of the year. They are easy to make at home and are a great accompaniment or snack item or fasting day recipe. 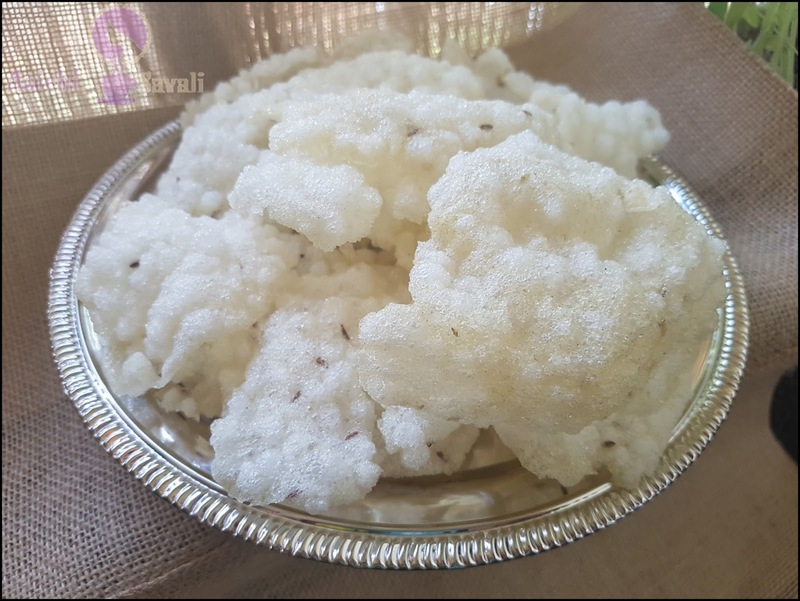 Sabudana is considered a non-grain and hence can be consumed on fasting days as well. I used the fan to dry this Papad. Traditionally this papad sundried to get the final product. It uses absolute basic ingredients while the process may take some time. You can try making this Sabudana Papad at home, as it's, quick, easy and full proof recipe. 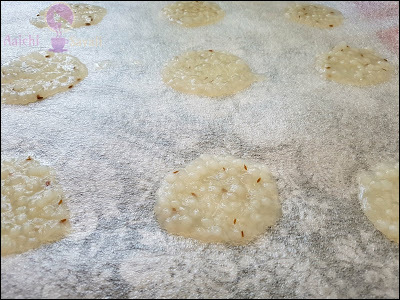 Preparation Time: 2 Minutes; Cooking Time: 30 Minutes ;Drying Time: 1 to 2 Days. 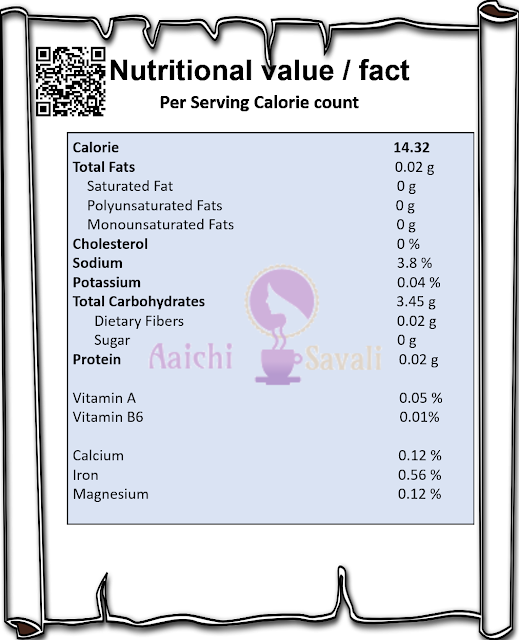 Each Non-Fried Sabudana Papad Contains 14.32 Cal. Wash the sabudana and soak it overnight or you can soak it for 2 hours in the water. In a heavy bottomed pan add and boil 6 cups of water. Once the water starts to boil add salt, cumin seeds and soaked sabudana to it, stir it continuously, so it does not stick at the bottom of the pan. It would take about half an hour for sabudana to get properly cooked. Cook it till it gets thick and transparent. Turn off the flame. Sabudana mixture is ready to make sabudana papad. 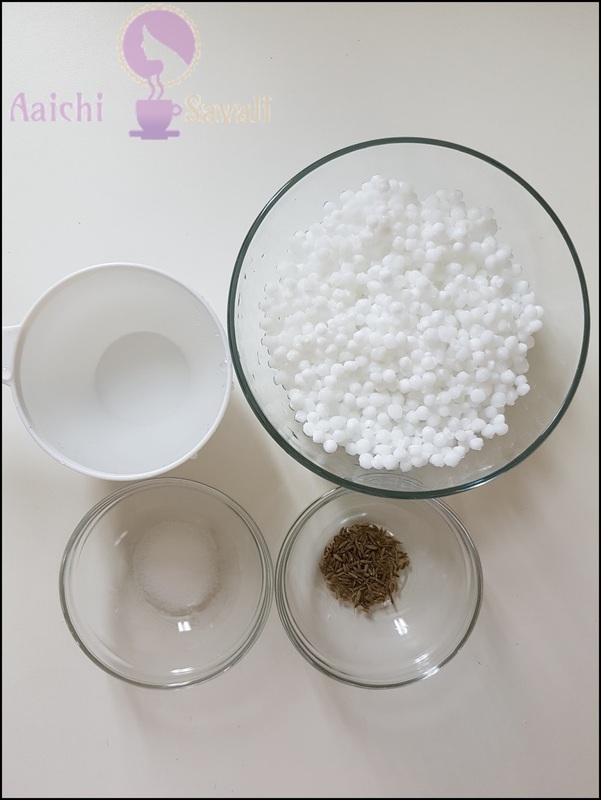 Spread a big sized polythene sheet over bed sheet, bring sabudana mixture near to the sheet and start pouring the mixture over the sheet making a small round of 3 inches, like a puri. Repeat the step to make as many papads as you can from the mixture. You can sun dry it for 2 days and keep turning in between. Alternatively, if you don't have sun. You can dry them under a fan for 1 day or till they get dried thoroughly. After 4-5 hours turn the sides of the papad before it gets over dried. Sabudana papad is ready to fry, fry them in oil and serve as a snack for fasting day. air-tight container. Within 6 months to 1 year, whenever you feel like eating them, just take them out of the container, fry them and enjoy it. 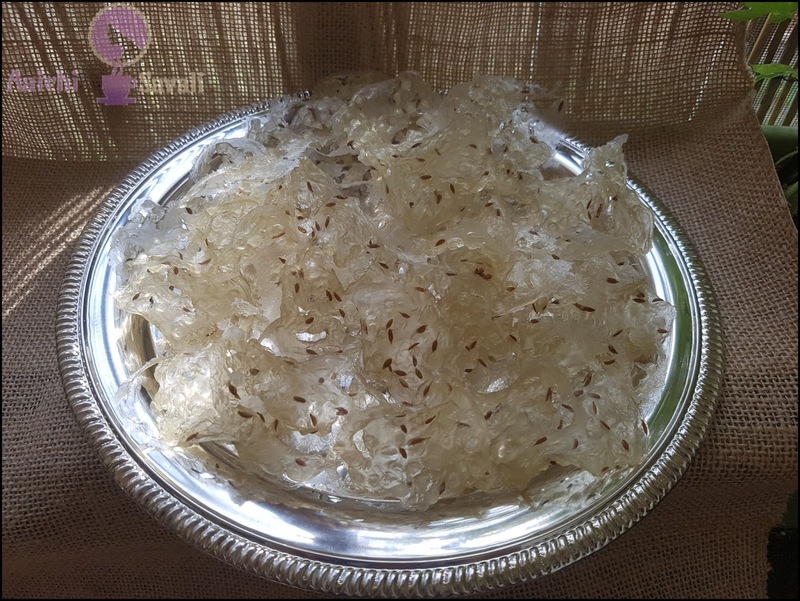 To make sabudana papad, you can use small sized sabudana. Maintain at least an inch of distance between two papads. Make sabudana papad as soon as you can from the mixture, else it will turn thick after getting cold, and you won't be able to make thinly layered papad. You can add green chili paste or red chili powder, black pepper, tomato puree, etc. in the sabudana papad as per your taste. Based on a 2000 calorie diet. It makes 25 servings. Per serving contains 14.32 calories, along with carbohydrates - 3.45 g, fats - 0.02 g, proteins - 0.02 g.
It's good to eat Sabudana Papad for lunch as an accompaniment or for an evening snack. Thanks a bunch SEO SERVICE. That means a lot to me.